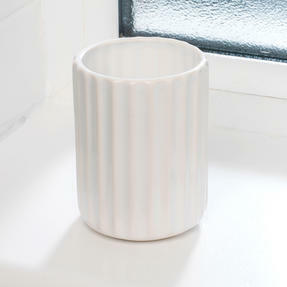 A fantastic addition to any household, this Beldray Dolomite tumbler is great for keeping your surfaces tidy. 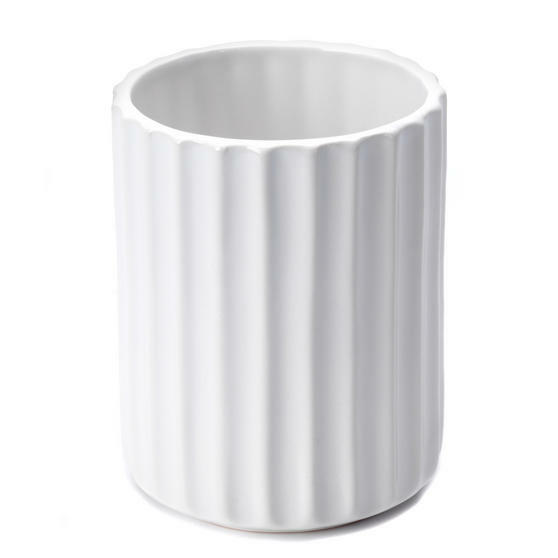 Measuring 7.8w x 10.3h cm, the tumbler is the perfect size to sit next to your bathroom sink and keep your things neatly stored. 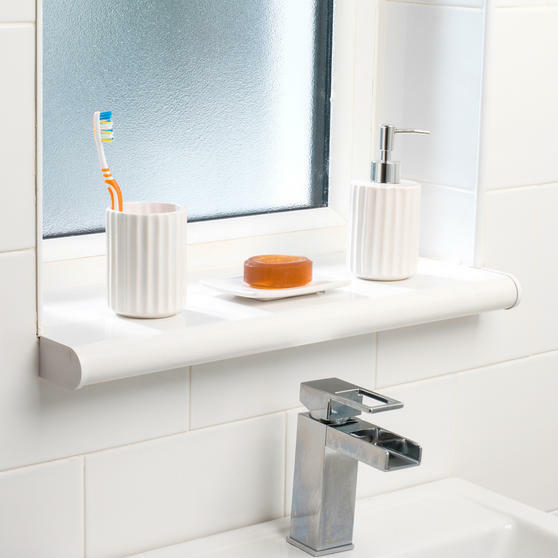 The beautiful tumbler is ideal for storing toothbrushes and toothpaste, keeping them free from germs and preventing your bathroom from looking cluttered. Made from high quality ceramic, the white exterior of the tumbler is sleek and easy to keep clean. This Beldray tumbler is the ideal size to store away your toothpaste and toothbrushes, keeping your bathroom looking neat and tidy. Made from high quality ceramic, the Dolomite tumbler is easy to clean so you can wipe away toothpaste marks effortlessly. 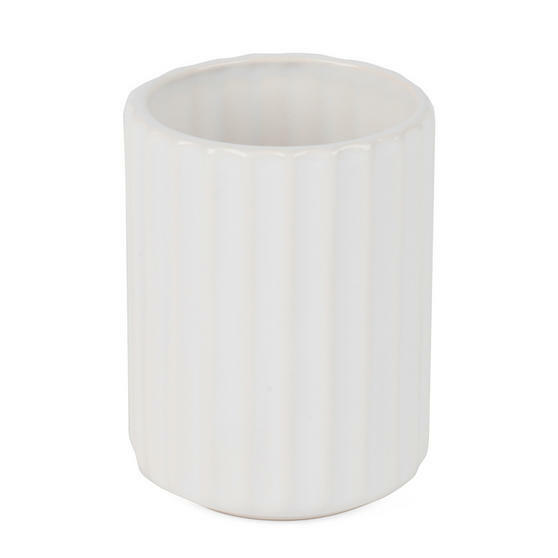 Both useful and durable, the tumbler is built to withstand frequent use so you can trust it stay in good condition with everyday use. The tumbler is multifunctional, looking great in the bathroom but it also fits in nicely anywhere in the house to store small trinkets. With a modern and stylish design, the tumbler is a piece that looks fantastic as well as being brilliant for convenient storage.